Home NEWS California slapping high taxes on marijuana, causing sticker shock for some. California slapping high taxes on marijuana, causing sticker shock for some. 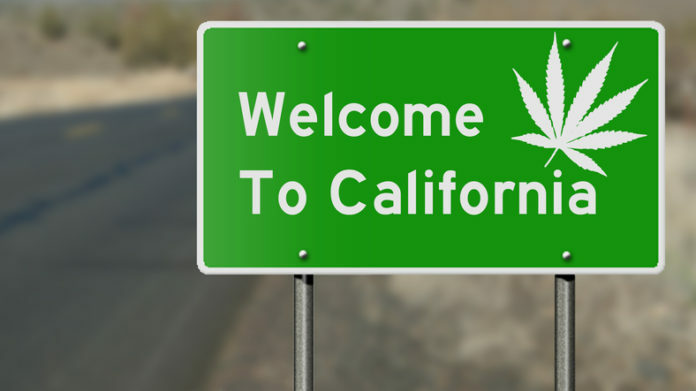 Highway sign as reference to California's laws regarding the use of marijuana. California’s legal marijuana marketplace is coming with a kaleidoscope of new taxes and fees that could influence where it’s grown, how pot cookies and other munchies are produced and the price tag on just about everything. RELATED: Will high taxes allow black market in pot to thrive? Previous articleBeer Execs Discuss E-Commerce, Cannabis at Beer Marketer’s Insights Seminar. Next article$27 investment is worth $30,000,000.